Gamelihle, a Certified Biomimicry Professional, fuses his training in civil engineering (BSc Eng Honours), business (MBA) and biomimicry (CBP) towards creation of a sustainable world; where there is enough for all forever. A visual story teller and rapid ideator, his diverse skill set enables him to abstract strategies from nature to create solutions for human challenges. He co-developed the Biominga Innovation Model based on evolutionary strategies that nature has continuously tested and refined over the past 3.8 billion years. Where others see things that are and ask "why? ", Gamelihle dreams about things that do not exist and asks "why not?" Patrick Baumann is founder and CEO of a mechanical engineering company and a managing partner of Biomimicry Switzerland. With 20 years of experience and proven ability to manage and complete R&D projects to the highest standard, he maintains a top level overview on system interdependency and careful attention to user-friendliness. 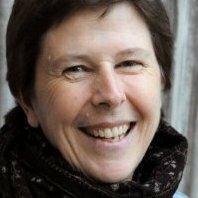 Jane Toner is an architect, sustainability consultant and Australia’s first Biomimicry Specialist. Jane has a firm belief that nature has the answers to living sustainably on planet Earth - it's just a matter of asking the right questions. Jane is the founder of BiomimicrySwarm Australia, a collaborative network seeking to share knowledge of biomimicry to promote its uptake. Jane is passionate about the potential for biomimicry to contribute to design solutions that are environmentally regenerative, socially just and joyous. She is a strong advocate for the integration of sustainable design concepts at the earliest stage of a project and sees intra-disciplinary collaboration as key to successful sustainable design outcomes. John A. Lanier is Executive Director of the Ray C. Anderson Foundation, a Georgia-based private family foundation honoring the legacy of the late Ray C. Anderson (1934-2011). 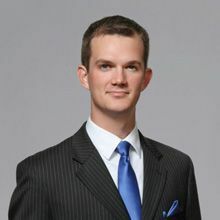 In May 2013, Lanier made a bold and exciting career move, leaving a successful career with Sutherland, Asbill and Brennan, LLP to assume his current role at the helm of the foundation that bears his grandfather’s name and legacy. Ray Anderson was a globally recognized industrialist and pioneer for environmentalism, and Lanier continues his legacy today through Foundation programs that seek to create a brighter, more sustainable world by funding innovative, educational, and project-based initiatives. 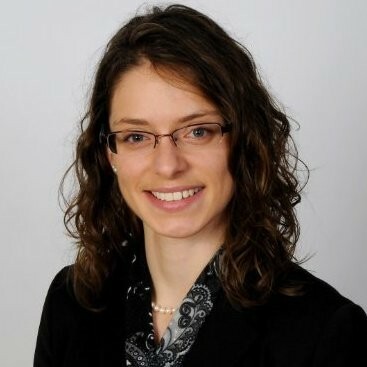 From 2011 to 2013, Lanier worked in Atlanta as an Associate Attorney in Sutherland's Tax Practice Group, specializing in U.S. Federal taxation. He represented the interests of various Atlanta-based nonprofits, gaining experience in nonprofit formations, compliance and applications for recognition of tax-exempt status. During that time, the Ray C. Anderson Foundation was one of his clients. Lanier currently serves on the Board of Directors for Southface Energy Institute, the Southeast's nonprofit leader in the promotion of sustainable homes, workplaces and communities through education, research, advocacy and technical assistance. He also serves on the Board of Directors for Chattahoochee NOW, a Georgia-based nonprofit that directs the efforts to catalyze the economic development and quality of life potential along a 53-mile corridor of the Chattahoochee River. Lanier is also a member of the 2014 class for the Institute for Georgia Environmental Leadership (IGEL), a network of diverse statewide leaders consistently collaborating to solve Georgia’s environmental challenges. Lanier earned his Juris Doctorate (J.D.) from the University of Virginia School of Law, and he holds Bachelor of Arts Degrees in History and Economics from the University of Virginia. He is an Atlanta native and a college sports enthusiast who enjoys travel, hiking and snow skiing in his spare time. Rooted in the firm belief that life-centered design will lead us to a sustainable future, Rachel Hahs is Certified Biomimicry Professional and sustainability expert working to expand the sustainability discussion to business strategy, innovation and product development where significant sustainability and competitive advantage gains await. Building on ten years experience at URS Corporation focusing on sustainability in business operations, Rachel is interested in how the use of biomimicry in innovation can result in disruptive sustainable system innovations that can accelerate our transition to a sustainable future. She is also an Innovation Fellow of The Art of Science Learning 2014 Chicago Incubator for Innovation focused on finding solutions to urban nutrition challenges. Rachel consults, speaks, writes and conducts workshops on biomimicry and sustainability for a variety of public and private audiences. As United Nations' Account Director, Travis Heneveld oversees the delivery of business critical communication solutions to peacekeeping, emergency response and development agencies worldwide. 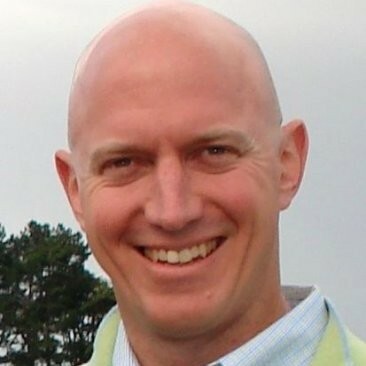 Prior to joining Motorola's Europe, Middle East and Africa Strategy team in 2003, Travis spent several years as a Strategy Consultant driving new product & marketing initiatives for Fortune 100 companies such as Levi's, United Airlines, IKEA and Ericsson. A global citizen with living experiences in Europe and Asia, Travis is currently based in Germany and is a Guest Lecturer in Cross-cultural Management at The Berlin School of Economics and Law. He is a contributor to "Digital Kenya, the New Generation of Entrepreneurs", a management textbook that will be published later this year. 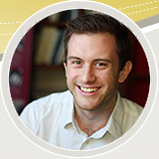 Travis is a BA graduate of Pomona College and holds an International MBA from the University of South Carolina. Stu supports RSF’s work in the field of Ecological Stewardship, working with social enterprises to evaluate loan opportunities based on social, environmental, and financial criteria. He also co-manages RSF’s new Regenerative Economy Fund – created to provide flexible and innovative financing to social enterprises accelerating the transition to a regenerative economy – in addition to running RSF’s fellowship program. Stu previously worked for the High Meadows Fund, an environmental foundation in Burlington, VT. He received a BA in Human Ecology from Middlebury College, where he co-founded an organization working to increase the amount of local and sustainable food served in the college’s dining halls. Cindy Gilbert is an effervescent education architect that fosters a culture of awareness and creativity through sustainable, innovative and democratized design, and by deepening transdisciplinary and collaborative experiences. She is the founding director of the Sustainable Design program at the Minneapolis College of Art and Design (MCAD) that is home to a fully online, multidisciplinary MA in Sustainable Design. The program blends theory, practice and leadership into holistic, hands-on learning experiences that culminate in student-driven thesis work. 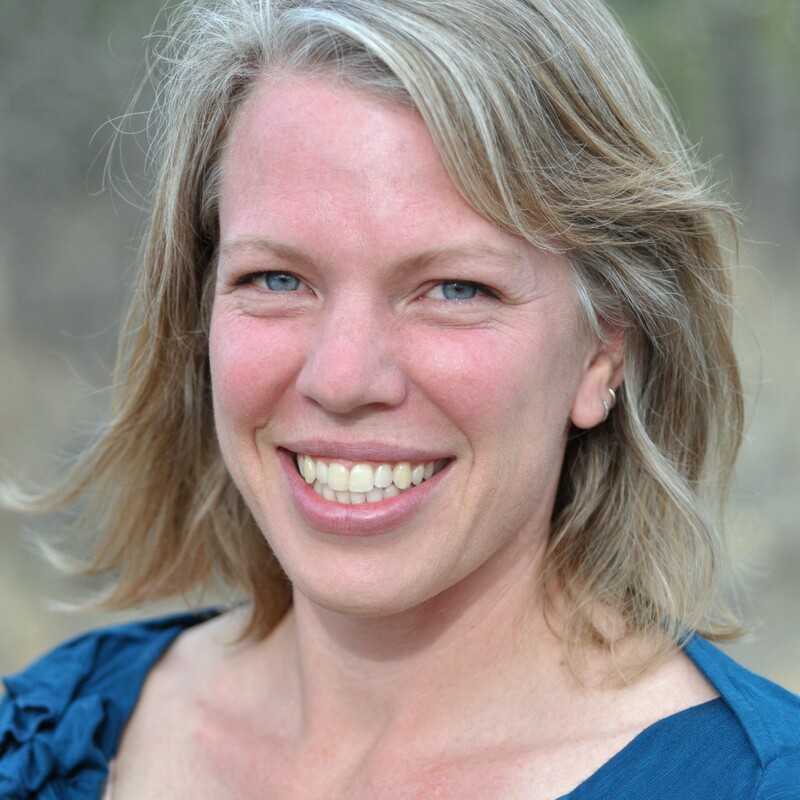 Founder of Alula Consulting, which specializes in innovative online and sustainability education projects, Cindy has influenced thousands of people through her courses, workshops and consulting work with academic institutions, non-profits and corporations. 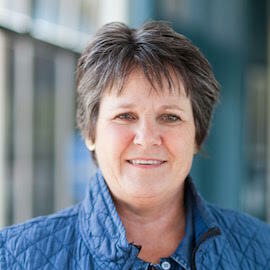 Previously founding director of university education at the Biomimicry Institute, she developed and managed all higher education programs, including the professional certification program (now MS program at Arizona State University), annual education summits, affiliate and fellows programs, and design challenges. Philip has always been a passionate nature bug/electrical engineer and entrepreneur. He took the Biomimicry Specialist Program in 2012. He is passionate about the environment and connecting people with nature. His recent conservation agreement for 400 acres of wetlands, forests and meadows was recently recognized by the Canadian Government. He is an early adopter of renewable and green technologies with solar electricity (home and office), solar hot water, and 2 electric cars in the family. He volunteers extensively in his community and is currently Chair of his city's (Markham) Environmental Advisory Committee. I am an architect, a biomimicry specialist, the proud mom of two kids, an amateur photographer, nature lover, life-long learner, and hold an MS in Biomimicry from Arizona State University as of 2016. I completed an Executive Master’s for Sustainability Leadership at ASU in addition to the Biomimicry Graduate Certificate. I am the co-founder of the Coastal Redwood Biomimicry Network in the SF Bay Area and some of you may have recently participated in our all America’s Bioblitz. We will be hosting biomimicry activities at the 2016 Bioneer’s conference next October. I have been on the jury for the Global Design Challenge and I am currently working with a team as a mentor.I am looking to link my design skills with credentials in biomimicry and sustainability. I founded A Kid by Nature to connect kids with nature. My organization piloted programs in two Berkeley, California elementary schools where I lead the Kid’s Green Team. Through a coalition of like-minded environmental educators, I am bringing lessons about conservation and care for our planet into elementary schools. Kristin Wolf is an assistant professor at Champlain College where she teaches a variety of interdisciplinary courses. 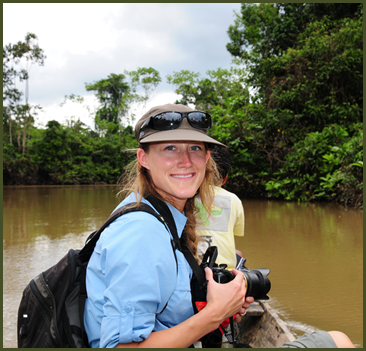 Her research interests are in wetlands, water quality, educational apiculture, and community-driven development in the Peruvian Amazon. Kristin has recently established an apiary on Champlain’s campus to provide a living laboratory that will facilitate experiential learning opportunities for the students, faculty, and staff of Champlain, as well as public programming initiatives between the college and wider Burlington community. In her free time she enjoys all things outdoors, travels whenever possible, and especially likes porch-sitting. Colin Mangham develops and markets new and important ideas, initiatives, and organizations. For over 25 years he has supported the success of dozens of Fortune 500 companies and other Big Brands, 100+ early-stage ventures, non-profits including the World Wildlife Fund, and NGOs including the United Nations. Colin’s career-long fascination with how things work and why people do what they do led him to discover biomimicry, innovation inspired by natural forms, processes, and systems. He is a Certified Biomimicry Specialist, has served as the Chief Marketing Officer for Biomimicry 3.8 and its Institute, and is the founder of Biomimicry LA. His TEDx talk, titled “Find Your Woods,” focused on how reconnecting with nature can inspire and build upon new and even powerful ideas. As a principal in Daily Brand Group, an LA-based consultancy, he applies his bioinspired expertise in guiding innovation and accelerating new ventures, often as interim executive management (CMO). Margo Farnsworth invites readers into nature, offering strategic ways to live with wild neighbors through biomimicry and other practical methods. Her work has appeared in the book Wildness: Relations of People & Place along with magazines like Outdoor Living, The New Territory, TreeHugger, Earthlines and blogs like the Center for Humans & Nature’s City Creatures. She is currently writing a book on how corporations discover and use biomimicry and guest lectures at universities. She works from her Missouri farm which she shares with her husband, assorted pets and wildlife. Raul de Villafranca, Mexican ecological architect with 35 years of professional practice, with ample variety of scale and type of projects, including housing, master plans and strategic connectivity plan for the Mexico-USA border.Specialized in bamboo architecture, Biomimicry and Regenerative Design.Founder of Ecología y Habitat; NGO creator of Filobobos Natural Protected Area and doers of social equity and conservation work.In his work he integrates Deep Ecology, Ecological Literacy, Holistic Systems Thinking, Integrated Design Process, Biomimicry and Regenerative Design and Development.Besides his undergraduate architecture degree he has acquired a Green MBA.Professor at Universidad Iberoamericana Mexico City since 1979, and for the last two years at UMA Valle de Bravo at Sustainability Public Policies, Green MBA and Sustainable Architecture Design Master Programs.Speaker at national and international forums, mainly in latinamerican universities in Mexico, Guatemala, Colombia, Ecuador and lately at Schumacher College co-teaching with David Orr the Ecological Design Thinking shortcourse.Member of the sustainability group and the ecological movement inside the architecture program at Universidad Iberoamericana since 2003. Forms part of the Regenesis Mexico core group, practicing this discipline in professional and academic arenas. Key player in the Biomimicry movement in Mexico and Latinamerica. Fellow at the Biomimicry Institute, as well as a biomimicry professor since 2006. Advisor at the Biomimicry Institute Educational Board 2010-2012. Responsible in Iberoamericana University as a Biomimicry Institute Associate University. ZQjournal magazine Contributing editor and ZQjournal Spanish version editor. In 2015, lead 9 consecutive yearly Biomimicry Design (one week) Workshop with Iberoamericana University/Biomimicry Institute as well as co-teaching in it for the last 6 years.Biomimicry speaker and/or teacher at Iberoamericana University, Tecnológico deMonterrey University Querétaro Campus, Universidad Autonoma de Yucatan in Mexico, Landivar University in Guatemala, Uninorte in Barranquilla Colombia, PUCE in Quito, Ecuator and Scumacher College in England. 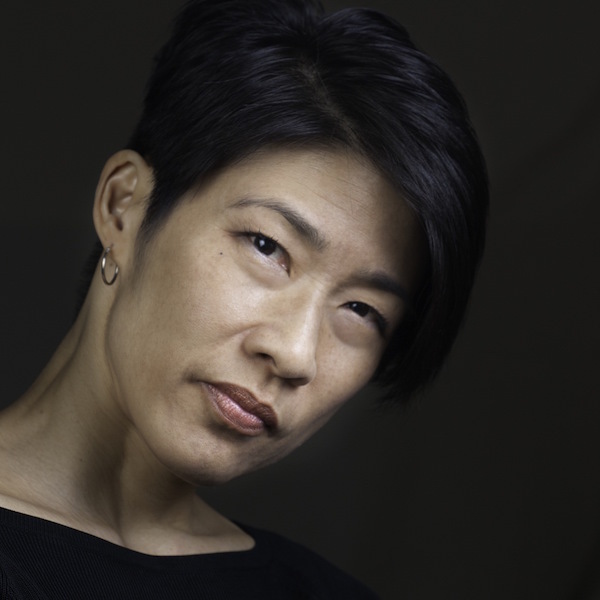 Peggy Chu is an architect and certified Biomimicry Professional specializing in sustainable design. 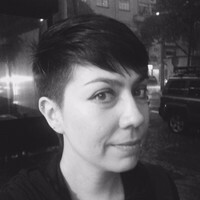 From 2006-2016, Peggy was based in Hong Kong, where she worked in corporate architecture to integrate sustainable design practices across the Asia Pacific region, served as a green building certification consultant, and conducted university research on the lifecycle of sustainable building construction methods. 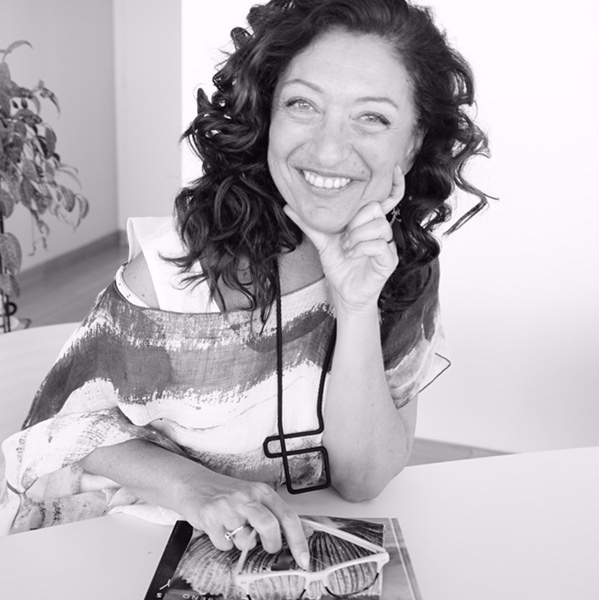 Peggy currently lives in California where she is co-authoring a workbook to empower designers to integrate biomimicry principles into the built environment. She will be co-leading a biomimicry design workshop at the Living Future Conference May 2017, in Seattle. Amy Coffman Phillips is an architect, sustainability consultant, facilitator, and public speaker with expertise in design, biomimicry and systemic resilience. She is the founder and project coordinator for The B-Collaborative, a sustainability consultancy that brings nature-based solutions to work for clients in business and the design industry. She is also co-founder of Biomimicry Chicago and the creator of their “Deep Roots” initiative. Through strategic planning facilitation, immersive innovation experiences, and hands-on project assistance, she brings together diverse, inter-disciplinary groups to help businesses, communities, and organizational leaders embed sustainability and resilience into strategic planning and strategy. Her work is focused on empowering individuals to make positive change in the world. 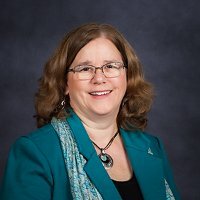 Dorothy is the Science Curriculum Specialist and Gifted Education Grant Coordinator for School Improvement Services at the Cooperative Educational Services Agency 5 (CESA 5) in central Wisconsin. CESA 5 serves 35 rural school districts, and Dorothy offers professional development training workshops for science educators and gifted education coordinators/teachers. She is a Wildlife Ecologist and has worked as a science educator at the middle school, high school, college and graduate levels. She enjoys connecting students to the beauty and wonder of the natural world. She also enjoys teaching with technology and has been teaching fully online courses and developing fully curriculum since 2004. Currently, she teaches fully online high school courses in AP Biology, Biology and Marine Science for Wisconsin Virtual School. She loves using Web 2.0 tools in both professional development and teaching. Dorna Schroeter has been the coordinator of the PNW BOCES Center for Environmental Education since 1982. This program serves some 38,000 students from schools in six counties in southeast NYS. CEE’s programs are diverse, they include student programs at the program’s nature center, in-school programs; environmental kits; a summer science camp; professional development workshops and marine ecology programs in the Florida Keys for middle and high school students. In the mid-90’s she was part of a team that developed regional a K-12 sustainability education curriculum. She co-founded of the Children’s Environmental Literacy Foundation and coordinates both student and teacher programs to support this effort. 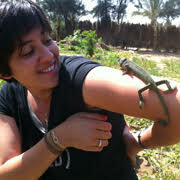 She is member of the Biomimicry Institute’s BEN network and is part of their Network Leadership Team. During the school year she provides a biomimicry program for middle and high school students. In 2008 summer she organized one of the first ever biomimicry kid’s camp. For the past eight years she has organized summer PD workshops for regional teachers and is now teaching introduction workshops through the New York Teacher Centers. Last fall she ran a biomimicry webinar for Green Teacher Magazine. 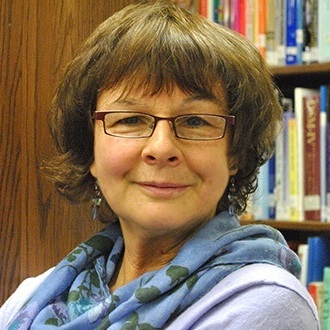 Dorna has served on several boards, taught graduate-level courses, and authored many articles. She is a diver and spends as much time under tropical turquoise water as she can. 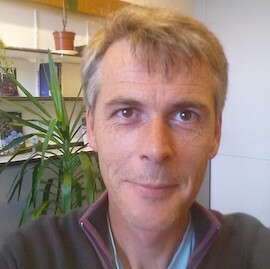 Biologist with broad experience in sustainability and urbanism. Biomimicry Specialist since 2012 and project management of GCP Architecture & Urbanism - Brazil for 14 years. Among several consulting for design inspired by nature, the Votu Hotel project is entirely conceptualized and developed with Biomimicry Thinking. Professional experience in project management in the retail, telecommunications and industrial and public sectors, as well as consulting for sustainable strategies. Experienced in developing social and environmental diagnostics for public areas and communities. Member of the Sustainability Committee on Construction of the Dom Cabral Foundation, as well as the Brazilian Committee for Sustainable Construction (CBCS), and participant in projects of mobilization. Professor of Biomimicry at AA (Architectural Association) Amazon Visiting School. Participation as lecturer on Biomimicry in several events and elaboration of workshops for Biomimimicry practice. Catalina is an architect and cattle rancher, as well as a Certified Biomimicry Specialist and candidate for the master´s of Science in Biomimicry from Arizona State University. 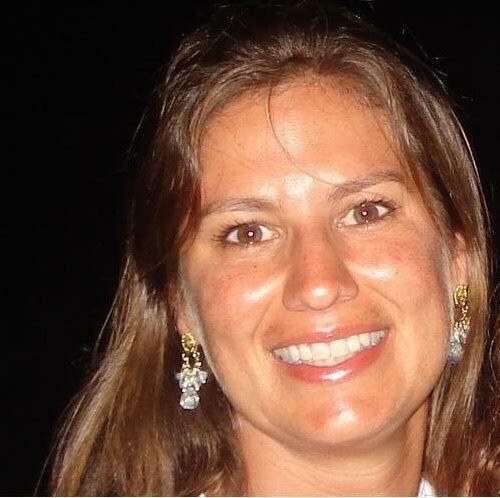 She is also the founder and director of Biomimesis Caribe. Dr. Kuowei Eleazar Chiu (KC) is an assistant professor at the Department of Architecture in the Tunghai University (Taichung, Taiwan). He founded the Regenerative Earth and Anthropocene Design Studio (READ) in 2016 to explore innovative solutions from nature for human-driven problems in rapid urban dynamics. He runs ‘innovative think-tank’ (“Studio-Lab” - ARC213) and teaches advanced design studio on sustainable urbanism and cities future. He specializes in biomimicry urbanism and intelligible urban form. His research area include syncretic urban morphology and sustainable future cities planning and design. He is interested in the dialectics between intelligible urban structure and biomimicry of cities’ future. He was awarded 'special scientific research talents award' (2014-2015) by the National Science Council in Taiwan. He was a full grant research scholar to the Centre for Advanced Studies in Architecture at the National University of Singapore (2007-2011). Dr. KC is currently an active member of the Ancient and Noble Order of the Knights Templar providing his volunteer services in biomimicry urbanism helping to develop a more sustainable water system design in Patan Durbar Square in Kathmandu of Nepal. Dimitri is a practicing biologist and a perpetual student of nature. His passion lies in understanding how the natural world works and sharing these wonders with others, from students to professionals to the public at large. Dimitri is inspired by the simplicity and elegance of using nature’s operating instructions to improve the function and sustainability of human forms, processes and systems. He is particularly interested in working at the interface of biomimicry with biological research, whether in the classroom or at the design table. After studying biology at Carleton College in Minnesota, Dimitri returned to his hometown of San Francisco to pursue research at the California Academy of Sciences. Meanwhile, he is studying for his masters in Biomimicry at Arizona State University and the Biomimicry Professional Certificate with Biomimicry 3.8. Theresa Millard has 30 years working in manufacturing, product development, sustainability and CSR. She is an experienced facilitator in the field of Design for Environment/Sustainability and related innovation workshops and experiential learning. 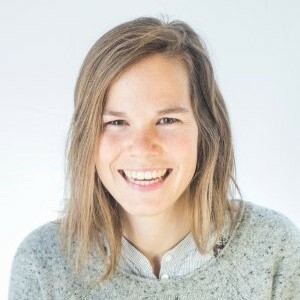 Theresa is the creative force behind the Kohler Innovation for Good Waste Lab which she has been working on for the past three years believing that taking a nature based abundant view of the world rather than “lean” approach to waste streams can change how everyone looks at resources. She has taught multiple biomimicry workshops and classes in both Europe and USA that further explore how we learn in the context of nature. Theresa is a member of Kohler’s Environmental Leadership Team and Stewardship strategic councils. Co-founder of Biomimicry Iberia, European Biomimicry Alliance and member of the Biomimicry Global Network Leaders. Certified Biomimicry Professional (Biomicry3.8), BFA – Ceramic Arts – Wolverhampton Polytechnic, UK, MFA – Ceramic Arts - University Washington, Seattle. 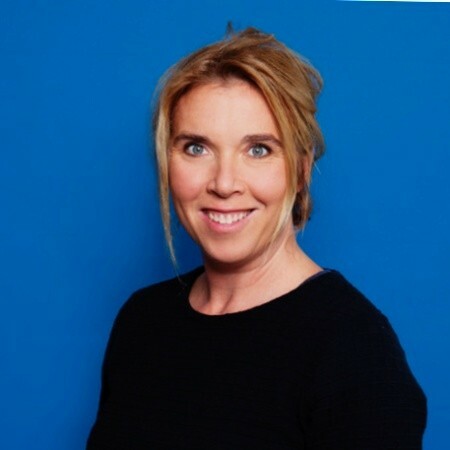 Marjan Eggermont is the Associate Dean (Student Affairs) of the Schulich School of Engineering, and a senior instructor and faculty member in the Mechanical and Manufacturing Engineering department, at the University of Calgary, Canada. She is a Biomimicry Institute Fellow and was a member of their Biomimicry Educational Advisory Board. With co-editors Tom McKeag (San Francisco) and Norbert Hoeller (Toronto) she co-founded and designs Zygote Quarterly, an online journal to provide a platform to showcase the nexus of science and design using case studies, news and articles. She is currently finishing a PhD in Computational Media Design focusing on bio-inspired information visualization. Sam Miller is the Director of the Gigot Center for Entrepreneurship in the Mendoza College of Business at the University of Notre Dame. 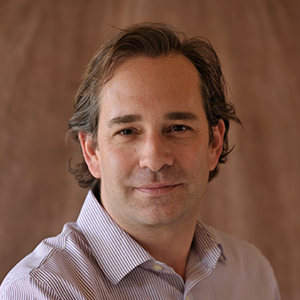 Before joining the Mendoza faculty, Sam served as Vice President of Strategy for Cardno/JFNew, a leading ecological consulting firm. Prior to that, Sam owned and managed two small manufacturing businesses, building and successfully exiting each. In 2009, Sam was recognized as one of “21 People Who Will Change Business” by BusinessWeek. In 2015, Sam was recognized as one of the Top 100 Professors of Entrepreneurship around the globe by Hot Topics. 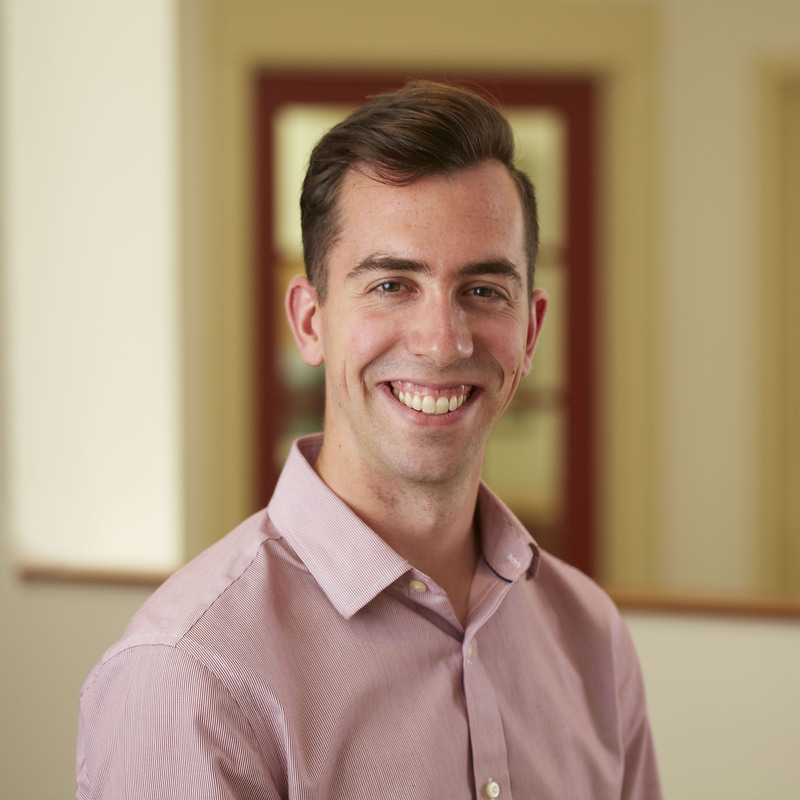 Sam holds a Master of Science in Product Development Engineering from Northwestern University, an MBA from the University of Michigan, and a BA in Economics from the University of Illinois. 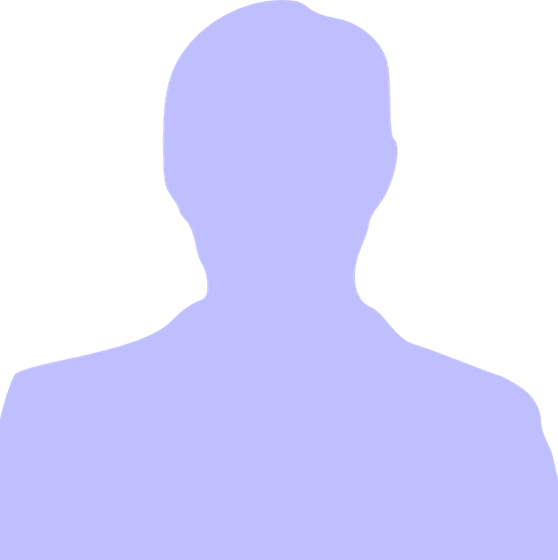 He is a member of the Association of Professional Futurists and the World Future Society, and has been a frequent speaker on sustainable innovation and entrepreneurship. Richard Fisher is an international award winning designer, community organizer, and systemic change maker. Upon earning his BS at UC Berkeley in Civil and Environmental Engineering, Richard worked as an environmental remediation consultant on EPA Superfund Sites. After witnessing the atrocities of humanity's lack of foresight firsthand, he sought ways to intervene upstream by shifting the prevailing societal thinking from reactive to proactive. In 2012, he presented his adaptive design approach to address challenges facing river deltas worldwide at the United Nations Rio+20 Conference on Sustainable Development. Awarded the Delta Alliance Young Professionals Award on this global stage affirmed Richard's commitment to empower others to actively create the future they want. Since then, he has been developing platforms and partnerships to increase accessibility of sustainable choices and build capacity of change makers. Working with communities, entrepreneurs, and students, Richard continues to provide others with greater agency to create social, economic, and environmental solutions that are both locally attuned and globally conscious. In 2015, Richard completed his MS in Sustainable Engineering culminating in a thesis exploring the dynamics between societal values, employment and the environment in City of Vallejo. Richard is a Leadership in Energy and Environmental Design Accredited Professional, a Startingbloc Social Innovation Fellow and a 2018 Certified Biomimicry Professional Candidate. He is the Executive Director of 4th Second, Founder of the Vallejo Commission for the Future and President of Valcore Recycling. Since climate change has a close relationship with built environment, solutions for built environment is important. I am a green building certification and sustainability consultant. One of my major job duty is to search innovative technologies for applying on green buildings. All potential applications relating to environmental performances of building design, construction and operation would be my main interest. My understanding on building applications and market needs would help to identify feasible and high potential ideas. 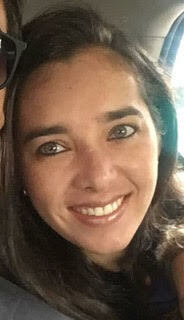 Alejandra is an evolutionary biologist currently directing a socioenvironmental Master program. She specializes in potential based projects, design thinking, designing and facilitating learning spaces, and educational innovation. YanTing Chen is an international award-winning designer based in New York and Taiwan. 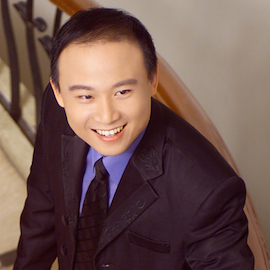 He specializes in architecture design, Chinese paper-cutting, graphic design, product design. Vikram Shyam is a propulsion flow dynamicist at NASA Glenn, is the Principal Investigator for PeTaL (Periodic Table of Life) and founder of V.I.N.E. (Virtual Interchange for Nature-inspired Exploration). The focus of PeTaL is to model natural systems using data science techniques such as data mining, artificial intelligence, unstructured databases and image analysis. V.I.N.E. was created to provide PeTaL access to vast quantities of high quality data, images, videos, publications and to a large base of users and technical experts. 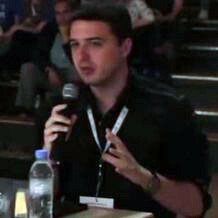 Giorgos Profitiliotis is a speculative fiction writer and an Electrical & Computer Engineer with an MSc in Environment and Development, and a mini-MBA in Technological Innovation Management. He has an academic background in Energy Engineering, Biomedical Engineering, Neuroscience, and Sustainable Development, and a professional background in multiple startup projects. Up until now, he has received 15 honours, awards, prizes, scholarships, and distinctions in the fields of space exploration, literature, general academic excellence, and innovation & entrepreneurship. He's currently pursuing a PhD in Bioastronautics and he's mainly interested in following the professional track of Research and Innovation Management. Main professional interests: Systems Engineering, Strategic R&D and Innovation Management, Knowledge Brokering, Technology Transfer and Commercialization, Product Portfolio Management. Main academic interests: Bioastronautics, Planetary Protection, Sustainable Development and Circular Economy, Bioenvironmental Engineering, Neuroscience and Neural Engineering, Biomimetics and Bio-inspired Engineering. Experienced energy professional with over 20 years of success in renewable and traditional power development, M&A, asset management and technology implementation. Directly supported renewable development and/or finance of 710 MW solar PV projects in the western US resulting in 690 MW of the projects being awarded power purchase agreements. Solid background with all facets of the project development; from technology design, selection, permitting, and power purchase agreements. Has supported all technologies including; wind, solar, geothermal, bioenergy and other alternative energy technologies. 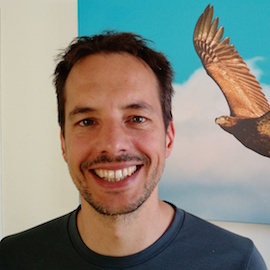 Jaco Appelman works at the Faculty of Sciences (University of Utrecht) where he coordinates and teaches the researchmaster: “Bio Inspired Innovation”. He facilitates Design workshops and other collaboration activities with an emphasis on Biomimetic or Bio-inspired subjects. He qualitatively researched collaboration, implementation of ict-technology in complex networks and Sustainability & Innovation approaches. To practice what he is preaching he tries to run a mini-camping as sustainably as possible. Daphne has a limitless desire to positively impact our well-being, eco-consciousness and connectedness. Obtaining a PhD in Biomimicry made her realize how it can be used as a problem-solving tool to find nature-aligned solutions to any type of challenge. Hassan has experience managing projects worth millions of dollars for clients like Huawei, Nokia, and Alcatel Lucent etc. 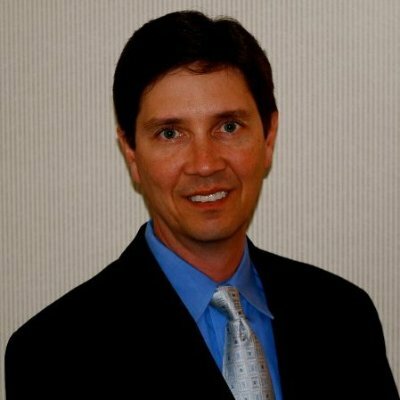 He has 9+ years of progressively responsible Telecommunications Experience that includes Project Management, Managed Services, Commissioning and Configuration, Network Operations Center Processes Design, SLA Practices, Strategic planning and technology implementation. Apart from his technology and telecommunication background, Hassan is researching on how to combine research on Biomimicry, AI, Block chain and telecom networks together for a perfect solution. You can find his few written articles on Linkedin. Hassan believes, all the answers lies in Nature. We just need to know where to look, how to look, and when to look it. Sherry worked for Biomimicry 3.8 and the Biomimicry Institute from 2004 through 2013, and continues on today as a contractor and volunteer. She is a Certified Biomimicry Professional. 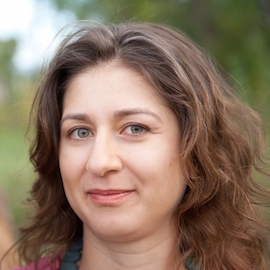 Her biomimicry work has covered teaching workshops and Biomimicry Specialist courses, content editor for AskNature.org, working with clients, acting as a Biologist at the Design Table, and more. She has a MSc in Wildlife Ecology. 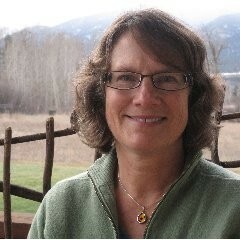 Prior to discovering biomimicry, Sherry worked for much of her career as a wildlife ecologist for state wildlife agencies in Wyoming and Idaho, and as a research/management coordinator for the U.S. Forest Service. She also authored numerous magazine articles and a natural history book. Biomimicry brings together her passion and appreciation for nature, her excitement about science, her love for sharing her passions with others of all ages, and her goal of finding more sustainable ways for us to fit in on this planet. 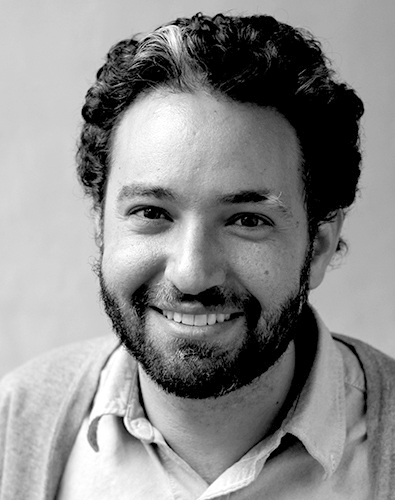 Richard Fadok is a cultural anthropologist who broadly explores how science, technology, and design mediate the human relationship to the environment. 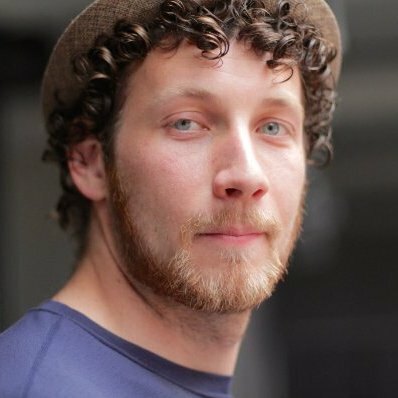 Currently pursuing a PhD at MIT in the History, Anthropology, and Science, Technology, and Society program, Richard has his master’s in Biomedicine, Bioscience, and Society from the London School of Economics and his dual bachelor’s in Neurobiology and Science and Society from Brown University. His dissertation looks at the emergence of biomimicry (as well as other contemporary bio-inspired design fields, such as biofabrication and biomimetics) and asks how the conceptual articulation of nature with technology generates new cultural ideas of place, agency, and ethics. 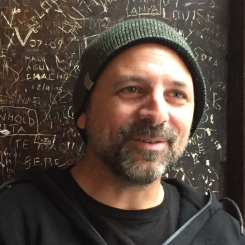 For the past three years, he conducted archival research on the history of the field in addition to ethnographic fieldwork among practitioners of biomimicry, including attendance at several biomimicry workshops and collaboration, observation in numerous laboratories, and collaboration with leading architects on new biomimicry resources. 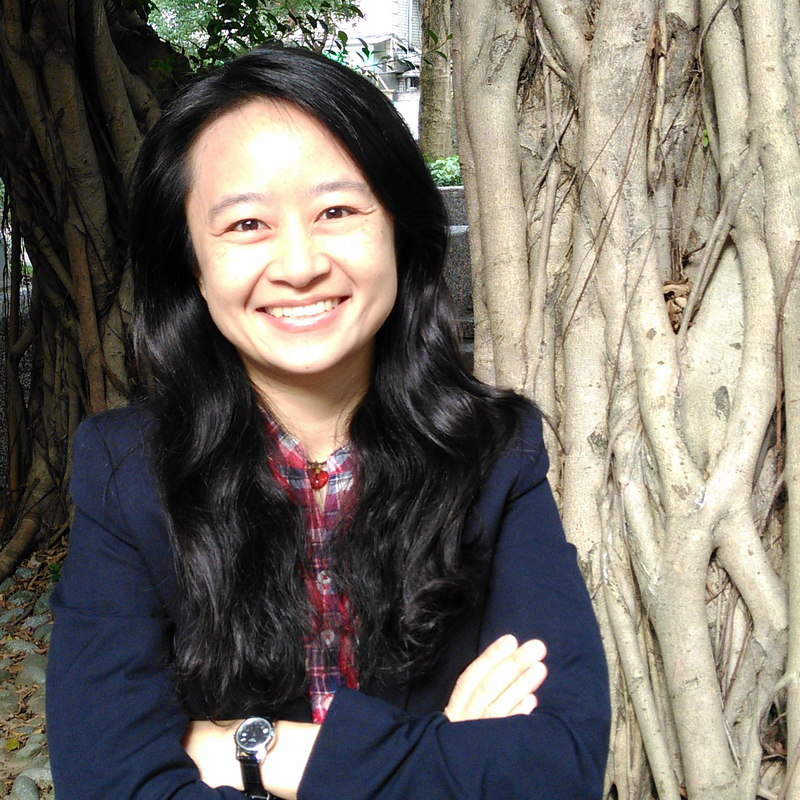 Julia Chiang is the Secretary General of Biomimicry Taiwan. In 2014, she helped to found the organization and since then she has planned several outreach programs to expand the biomimicry network in Taiwan, including design challenges and international forums. Now there is a board of 16 directors serving as the consultants and nearly 100 paid members in the organization. 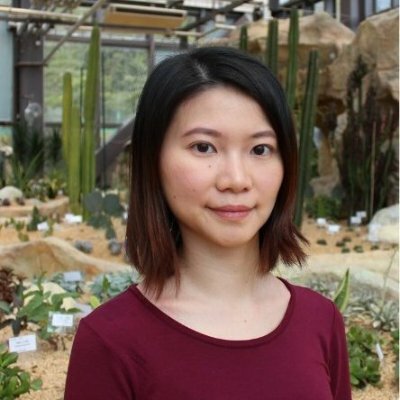 Before joining Biomimicry Taiwan, she served in an agro-biotech company for 4 years, promoting biomimetic irrigation solution and it was then she stepped into the Biomimciry world. Her professions in public relations and Corporate Social Responsibility were accumulated during her 8 years in the PR industry as project director serving clients from the ICT industry. Earlier, she was a TV program producer for 5 years. Julia Chiang earned a master degree in Media and Communication Management in the UK and is now a Biomimicry Specialist in training in the joint course of Biomimciry 3.8 and Arizona State University. Dr. Jacquelyn K. Nagel is an Associate Professor of Engineering at James Madison University. Dr. Nagel is recognized internationally for her work in bio-inspired design. Her research focuses on developing engineering design tools and methods to make biological inspiration accessible to engineering design problems, as well as instructional resources for teaching bio-inspired design. She has been researching and teaching biomimicry in the context of engineering design since 2007 and has authored numerous book chapters, journal manuscripts, and conference publications. In 2012, she was recognized by the National eWeek Foundation and IEEE-USA as one of the New Faces of Engineering for her pioneering work in using biological systems as models for sensors, instrumentation and processes. Dr. Nagel earned her Ph.D. from Oregon State University, and her M.S. and B.S. from Missouri University of Science & Technology. Bor-Kai has worked with companies (including Fortune 500 companies) to bring biomimicry into their R&D processes in the hope for igniting sustainably innovations within these companies. Currently, Bor-Kai is a postdoc in Dr. Deheyn’s lab at SIO, UC San Diego, working on a research project sponsored by DARPA to investigate whether or not organisms can communicate with each other via radio frequency without the use of human technology. Other than research, Bor-Kai also involves in two biomimicry startups and serves as the Chief Science Officer at Hedgemon, LLC. The mission of Hedgemon is to develop an impact-absorbing platform technology inspired by hedgehogs that could improve human lives. Bor-Kai is also passionate about disseminating science and biomimicry to the local communities and frequently participates in outreach events. Shanna Ruyle is an Art Director and Designer helping local, national and global companies amplify their products, services and messages through design and discover sustainable opportunities within their offerings and processes. Shanna enjoys untangling the complex and exploring ways to bridge important technical, expert-level insights in a way that everyone can access and benefit from them. Passionate about education and community, Shanna teaches art, creativity, sustainability and design to students of all ages, is a founding member of a public charter school and has served as a board member for community-based, educational and art non-profits. 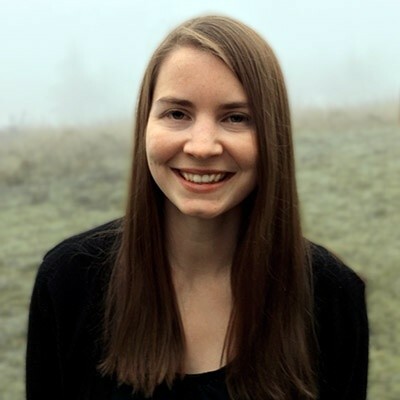 Based in Oregon, Shanna holds an Honors Bachelors of Fine Art in Graphic Design from Oregon State University, a Permaculture Design Certificate, and a Masters in Sustainable Design from Minneapolis College of Art and Design. 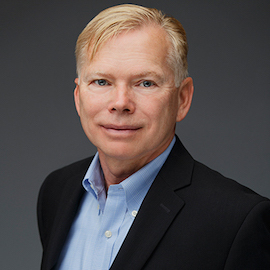 Rudy Ruggles is the founder and president of FutureFixers, LLC, an organization dedicated to empowering young people to use their creativity and knowledge to identify and solve problems. Rudy works to enable kids to create compelling, positive futures for themselves and those around them, avoiding being victims of the problems they may face. Previously, Rudy was president of Collaborative Innovation Services, a consultancy that helped organizations use the tools and principles of sustainability to create innovative solutions to strategic and organizational challenges. He has also been a consultant with the Monitor Group and at the Cap Gemini Ernst & Young Center for Business Innovation, and has worked with organizations including Ashoka, the World Bank, and the Barr Foundation. Rudy has published several books and articles, including co-authoring, with Clay Christensen, the Harvard Business Review article “Disruptive Innovation and Social Change.” Rudy holds an MBA from Northwestern University and a Professional Certificate in Sustainable Design from the Minneapolis College of Art & Design. Born and raised in Northern New Mexico, Teo grew up hiking and fishing in the mountains and streams of the southwest. An early interest in Edward Abbey’s writing during a series of family backpacking trips in Utah combined with a year spent researching renewable energy policy in high school kick-started his environmental career trajectory. Teo completed his graduate work at the Bren School of Environmental Science & Management at UC-Santa Barbara. He partnered with Conservation International during his masters thesis project, helping to develop a methodology for assessing the economic benefits of ecosystem-based adaptation efforts. The Doris Duke Conservation Fellowship funded his graduate education and he remains part of this national network of young conservation leaders. 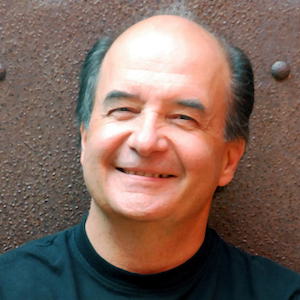 Bioneers’ interdisciplinary approach is in line with Teo’s professional goals and experience. Over his career, Teo has engaged in diverse efforts including managing youth and educator outreach efforts, conducting state-level assessments of long-range planning efforts, and lead research on topics including climate change adaptation, ecosystem services and ecological networks. Combining a clear-eyed approach to problem solving with a knack for identifying cutting edge trends and approaches, his career goal is to work towards the healthy integration of natural systems and human communities at multiple scales. When not at his desk, he can be found trying to figure out what in the world his toddler is up to now. Betty is an outdoor environmental science educator and Certified Permaculturist. With a background in populations and ecosystems biology she develops new material and activities for students of all ages, embracing the natural world as a continuous learning opportunity and a means to excite their curiosity. Prior to co-founding Dayma in 2011, Betty studied in France and served as a UN volunteer to the regional UNDP MedWetCoast project in Lebanon, as well as junior expert for the EU SMAP III Technical Assistance project in Egypt. 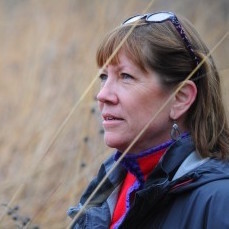 Her earlier work focused on wetlands conservation and integrated coastal zone management; she however found greater personal and professional satisfaction in environmental education. Thanks to her multicultural upbringing, Betty is fluent in English, French and Arabic. She has a thirst for travel and discovering new horizons that she tries to quench at every opportunity. Throughout the years she has been interested in sustainable and alternative ways of living, and tried to implement such methods in a teaching garden at WESC. After a field course in Biomimicry earlier in 2011, permaculture came as a natural extension, as the "mimicry of agriculture". Newly armed with her PDC, she started working to integrate permaculture and biomimicry in the outdoor learning curricula that Dayma deliver in Egypt, as well as offer her knowledge and experience to interested entities and individuals. She co-taught a PDC in Cairo in 2012, as well as the first 3 PDCs in Lebanon from 2013 to 2015 organized by SOILS Permaculture Organisation. Carlos Fiorentino was born in La Plata, Argentina and moved to Canada in 2005 to pursue his Masters in Design. He currently teaches Design for Sustainability and Biomimicry in the Department of Human Ecology at the University of Alberta, Design Fundamentals in the Department of Art & Design, and Information Design at the Faculty of Design Studies at Grant MacEwan University, Canada. 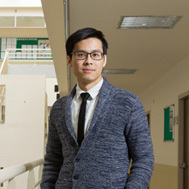 He is a doctoral student in Human Ecology at the University of Alberta. The focus of his current research is on structural color, signaling and affordances through biomimetics. He is co-founder of Biomimicry Alberta Regional Network, and the Design for Sustainability Research Group at the University of Alberta. 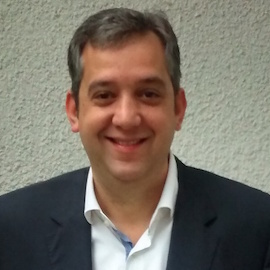 Carlos is advisor to several Sustainability Education Committees in Canada. He has a 20+ year career as a design practitioner, co-founded two design studios, and worked professionally in Argentina, Germany and Canada. 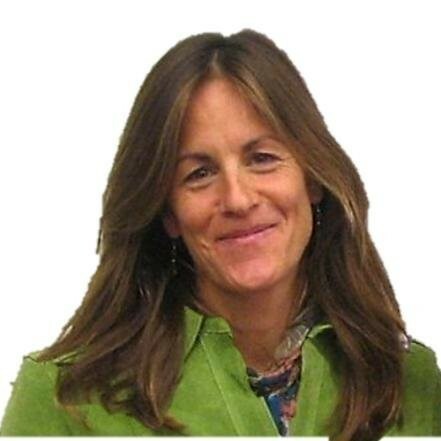 Ms. Roberts, founding teacher at Credo High School in Sonoma County CA teaches Biology and Environmental Science, is also co-coordinator for Adventure Learning, Social Sustainability and developer of Credo's Fifth Year Program. Ms. Roberts has been teaching high school science since 1997 in mainstream public schools, in charter schools and at Summerfield Waldorf High School. She earned her BS in Biology with an emphasis in Education from San Diego State and her teaching credentials from Chapman University. She is currently earning her MS in Science Education from Montana State University. Ms. Roberts has taught biology, chemistry, earth science, environmental science, farming and PE, and she has coached softball and volleyball. She has studied biomimicry and has a particular interest in applying it to the high school curriculum,including piloting the first UC accredited course in Biomimicry;Engineering Inspired by Nature designed by Center of Learning with Nature. In 2017, Ms. Roberts co-led a teacher's session at Bioneers on bringing Biomimicry into education. Natasja is an experienced sustainability professional dedicated to helping communities and businesses transition to a regenerative economy. 15 years ago she started out at the European Center for Nature Conservation. 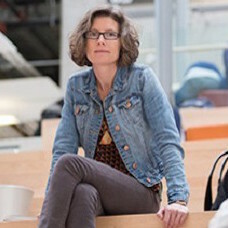 Most recently Natasja worked as programme manager for the New Economy programme at the DOEN Foundation. Before that she worked for nine years at CREM as a senior consultant mainly on projects related to circular economy, biodiversity and ecosystem services. Natasja has a background in Biology and Science and Technology Dynamics. In January 2018, Natasja started as an independent consultant focusing on achieving positive system change through social innovation, entrepreneurship and how to effectively redirect capital (philanthropy and transformative investments) to support this change. Currently, she is developing the European Strategy for the Biomimicry Institute. Natasja lives just outside of Amsterdam the Netherlands with her husband and two children.